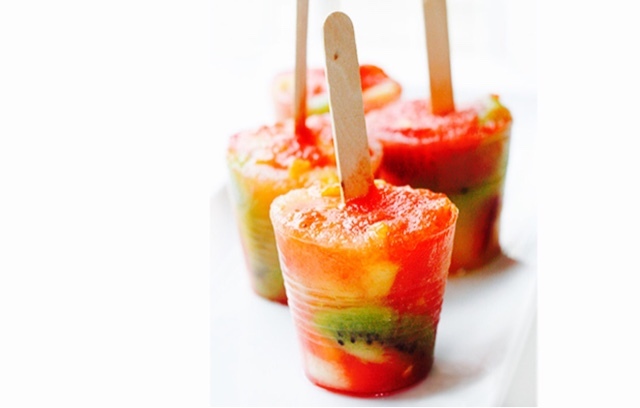 Fresh Fruit Popsicles- A healthy, refreshing snack for you and your kids! Place fruit in a 5 oz disposable cup. Add 1 oz juice to each cup and place a craft stick in the center. Freeze for 2-3 hours. Run warm water around cup once frozen and they will fall out! Enjoy! 2 Quick "Wedding Arm" Workouts!